Are you asking yourself why Search Engine Optimization (SEO) is so important? Get ready to be found with your online Real Estate business! SEO (= Search Engine Optimization) is – or should be – part of the marketing efforts of every business represented on the internet. Search engine optimization efforts regard to and affect the visibility of a website in the organic (= non-paid) search results of a search engine, such as Google. Generally speaking, good website visibility results in more website visitors. If those visitors also represent the target group of the business behind the website (also controllable through SEO), this enhances the chance of more successful business contacts over the web appearance. Remember that little cafe you discovered by coincidence in your favorite vacation spot? It was located third row to the beach and you had only discovered it, because you got lost. Their pastries were to die for. Through your entire vacation you went there every day, had your coffee and a delicious danish. Back then you wondered, why hardly ever any customers stopped by. And when you eventually went back there the next year the cafe was closed for good. Their products were so awesome and not even expensive. But they had missed out on letting people know that they were there. Nobody knew the cafe even existed. So nobody came to buy anything. Everyone went to the huge chains, buying their standard quality scones, because that was what people knew … from those big ads in the newspapers. And when people went on the Internet searching for pastries in the area – well, guess what popped up? Hopefully you are starting to get the idea now, why “just being on the internet” may not be enough for your business and why Search Engine Optimization (SEO) is no longer optional. Owners of small businesses often argue that they can’t afford advertising and Search Engine Optimization (SEO). As advertising and SEO are not as tangible, as real products, this thought may be kind of comprehensible from a subjective point of view. But, if you give it a second thought, the entire argument sounds odd. These owners are actually saying: “I can’t afford to attract customers to my business”. Attracting and retaining customers is one of the basic principles, businesses are operating on (on- and offline). Business owners, who don’t want or can’t afford to attract customers are hurting the foundation of their business. These business owners are not aware of what this misconception of the real value of SEO and advertising costs them in the long run. It could be much more than the price for advertising. Either they will be facing survival camp with their enterprise resulting in the loss of their business. Or they are lucky enough for their prayers to get heard and the rumor of the “cool new business” spreads through the grapevine soon enough to get them going. That is like playing the lottery with your online business. But, what are the odds? Why Search Engine Optimization (SEO)? Get the numbers! A Pew Internet survey found out in May 2011 that 92% of all adults online in the US use search engines to find information on the Internet. 59% do so on a daily basis. These numbers make searching the most popular activity on the Web. Pew Internet also found out that the use of search engine has increased over about a decade by about 7% until 2011. Today we have 2014 and I would assume the numbers today are even slightly higher (find the study HERE). If you consider your business mainly local, you may think those national numbers don’t refer to you. Let’s see what Pew Internet found out about that: A study conducted about the search of information about local restaurants showed that 55% of the adults asked use the internet, mainly search engines, while only 23% relied on word of mouth by friends or family (Find more information on this study HERE). If this is only rudimentary transferrable to other local businesses, it is time to get going! I like to compare doing SEO to learning the stock trade business. It sure is no rocket science, but you can’t build a successful SEO strategy just on good guess and luck. Some background knowledge, experience and a fair amount of time is needed. Not many people probably would start trading without any background knowledge, because they would be too afraid to loose their money right away. But even the stock pros are not always lucky. They sometimes win and sometimes lose. But most of the time they are able to limit their losses and enhance their profits. That is because they are dealing with the matter every day. Failing SEO not in every case does involve a direct loss of money. However, thinking about it, in the long run NO SEO at all or wrong SEO will cost you! It will cost you website visitors lost to the competition, it will cost you money by not-happening sales – in the worst case it can cost you your online business. That is why Search Engine Optimization today is so important. Even, if you are executing a business offline and only have an Internet appearance, because everybody has one today, SEO matters. If the offline part is going really well, while you spend no thoughts on optimizing your Internet business, you would probably be amazed about how much money you are still NOT making, just because you did not optimize. You may be afraid of the costs for hiring experts to do all that SEO work. But there is a lot you can already do yourself. Besides, SEO comes in different levels and you do not have to spend thousands of dollars a month to see and feel the difference between doing SEO und doing NO SEO at all for your online business. 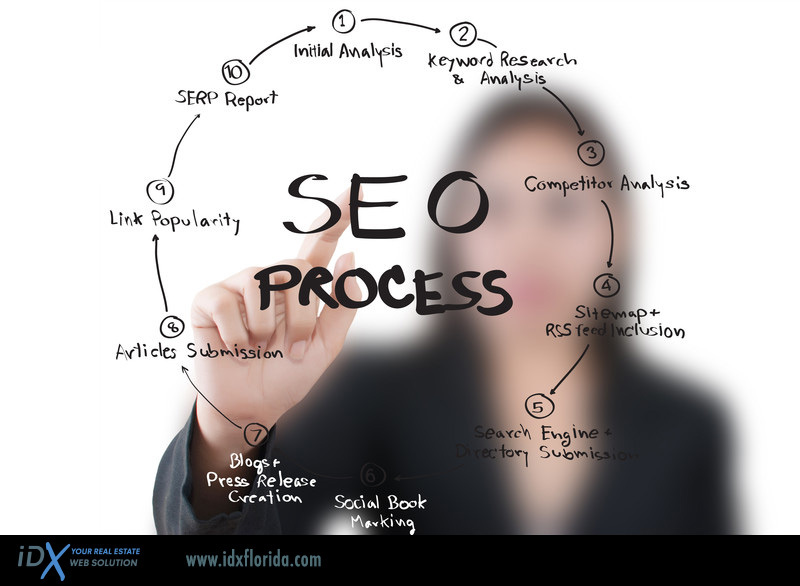 If you want help with optimizing of your website, please note that the team of idxflorida.com offers basic SEO services for you. Talk to us, if you are interested in more information. If you want to learn more about you can do yourself, read more about how to do your own SEO in this article.